EW was the first to release the new image, just ahead of the film’s big preview at San Diego Comic-Con 2018. Now you may be wondering how the underwater world of Atlantis has another king despite the fact that Arthur Curry aka Aquaman (Jason Momoa) is already King of the Ocean. Well, it has been confirmed that Atlantis is actually made up of seven kingdoms. A result of a devastating flood that split the ancient land into its underwater world. In the photo below we see the Fisherman King, the one holding the trident, and the Fisherman Queen (Natalia Safran) and Princess (Sophia Forrest). There is also a member of the Fisherman King’s royal guard, but it looks like he has a tail instead of legs. And while these characters look like they are completely CGI, director James Wan says it’s a combination of practical effects and CGI. Hounsou will be starring in at least three different superhero films in a span of six months. First in Aquaman, where he will play the Fisherman King. Next, he’ll reprise his role as Korath from Guardians of the Galaxy in Captain Marvel. Finally, he’ll play the Wizard in Shazam! So he’s got a pretty full superhero schedule. But honestly, I hope to see him play other DC characters. Hopefully there is something for him in Wonder Woman 1984. He can be a sort of good luck charm, if Aquaman and Shazam! turn out to be a success. Amber Heard, Patrick Wilson, Temuera Morrison, Dolph Lundgren, Yahya Abdul-Mateen II, and Nicole Kidman also star. 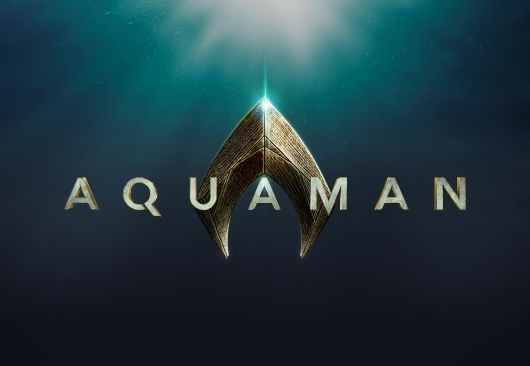 Aquaman takes a plunge into theaters on December 21, 2018. Click right here for more on the film including more images.